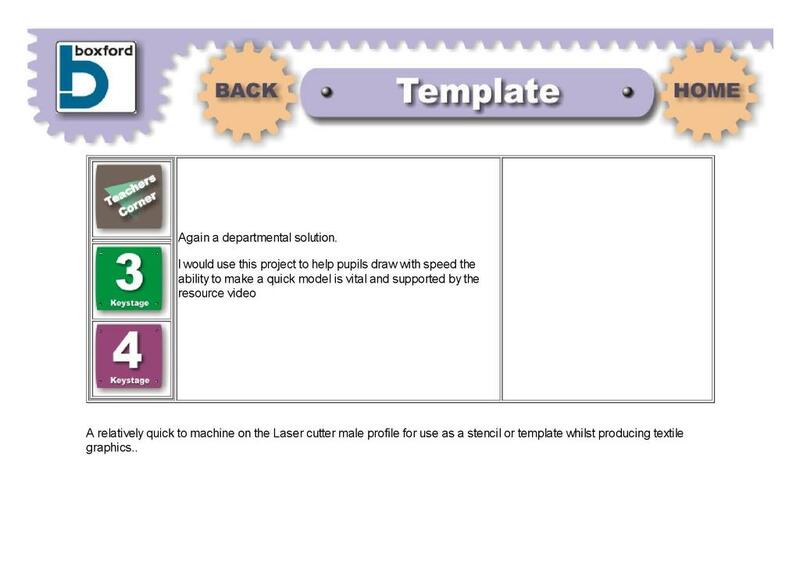 This resource from Boxford presents a laser cut template for use when producing textiles graphics. This template is for drawing males. The stencil can be produced using a laser cutter from the CAD file provided. Students are then able to use the template to speed up and enhance their textile based graphics work. A photograph shows the finished template and brief description gives information of the rationale behind it. Curriculum links include accuracy and speed when drawing in textiles and suing laser cutters to produce accurate products and templates.